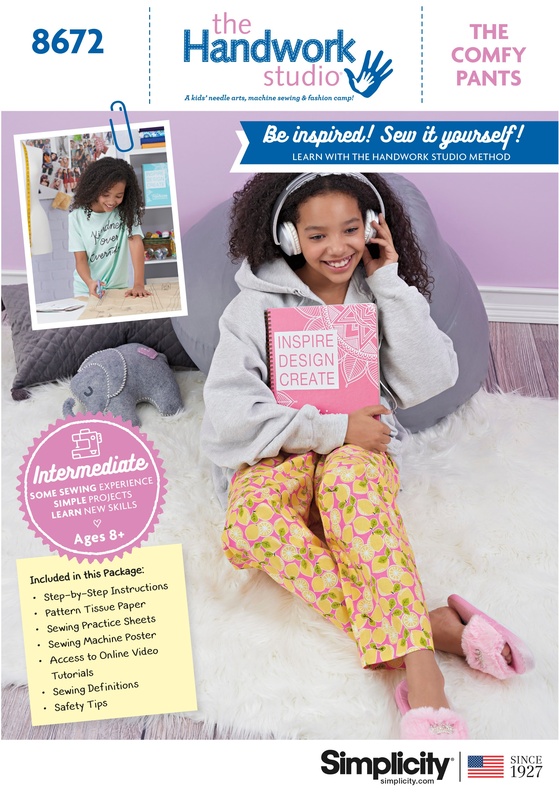 Welcome to our brand new line of educational sewing patterns created in partnership with Simplicity Creative Group written exclusively for kids. Our purpose behind designing these educational patterns is to pass down the tradition of machine sewing and to inspire the next generation of crafters, makers, and sewers. Now Available at JOANN, Walmart and craft retails stores. Working with over 5000+ kids per year, and developing educational patterns with Simplicity, we have become the leading educator of kids machine sewing in the country! Check out more information about our Simplicity Partnership! The adorable Fluffy Stuffy is a party pack perfect for a group sewing party with your friends, troop, classmates, or camp. Pattern comes with 10 sets of pattern pieces, so let the party begin! This pattern is for beginners and assumes you have no sewing experience. You will learn how to use a pattern, how to thread a machine, proper sewing terms, and sewing a straight line, all while making your own Kitty Stuffy. Includes sewing practice sheets and written instructions that are kid-friendly (and friendly for non-sewing-parents/adults too!) Plus, the Handwork Studio patterns always have a fun easy-to-follow free video tutorial! The fashionable and functional Remy Bag is for beginners with no experience necessary. 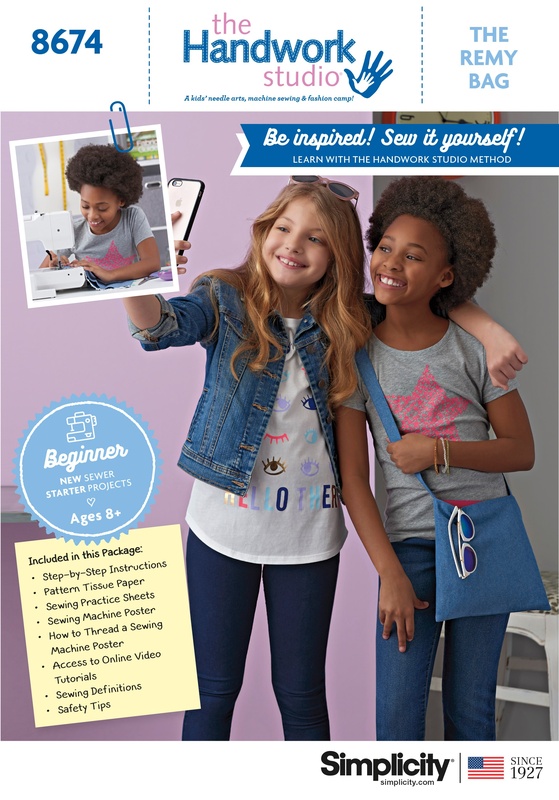 The pattern will teach basics such as how to use a pattern, how to thread a machine, proper sewing terms, and sewing a straight line, plus you'll have a cute bag to show off when you are finished! 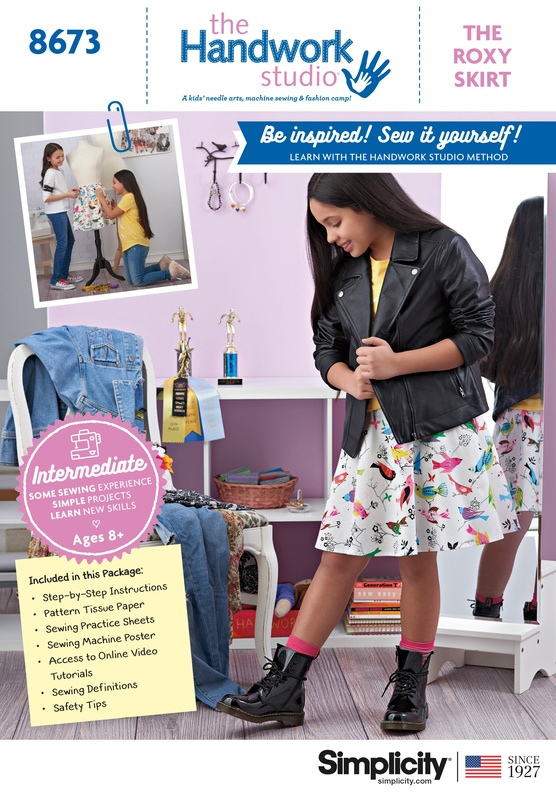 Includes sewing practice sheets and written instructions that are kid-friendly (and friendly for non-sewing-parents/adults!) Plus, have a fun easy-to-follow video tutorial to walk you through sewing The Remy bag step-by-step! These super comfy pants are an intermediate pattern that requires basic machine skills such as knowing how to thread your machine and sew a straight line. This pattern will introduce the concepts of choosing an appropriate size, how patterns are nested, making a casing, and hemming. Sizes range from hip measurements of 24" to 40", knowing that todays’ kids come in all shapes and sizes. Includes sewing practice sheets and written instructions that are kid-friendly (and friendly for non-sewing-parents/adults too!) Plus, the Handwork Studio patterns always have a fun easy-to-follow free video tutorial! The Handwork Studio Roxy Skirt is rated as intermediate for sewers with some experience. This pattern will introduce the concepts on sewing on a curve, making a casing, putting in elastic, and hemming. Sizes range from waist measurement of 21" to 29.5", knowing that todays’ kids come in all shapes and sizes. 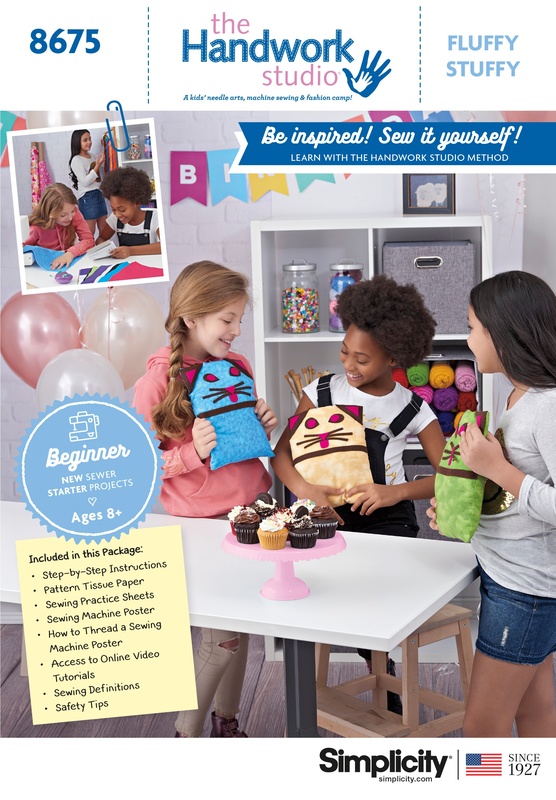 Includes sewing practice sheets and written instructions that are kid-friendly (and friendly for non-sewing-parents/adults!) Plus, the Handwork Studio patterns always have a fun easy-to-follow video tutorial!